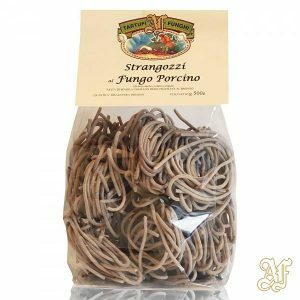 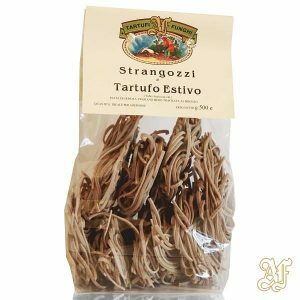 Strangozzi is an Italian traditional long pasta, ideal to prepare many pasta recipes such as the traditional “strangozzi with black truffle”. 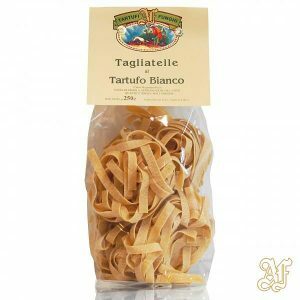 A simple dish, perfect for your special occasions. 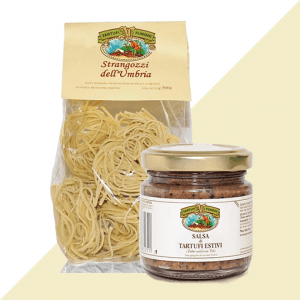 Pack suitable for 3/4 servings. 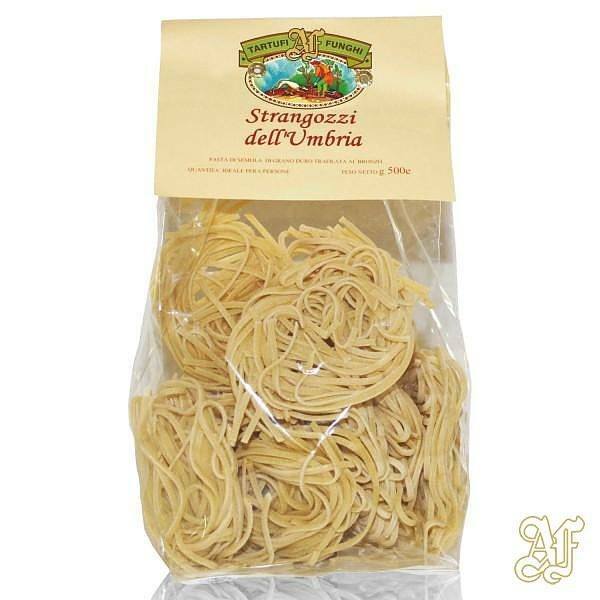 Flour, eggs 25% , max moisture 12.5%.